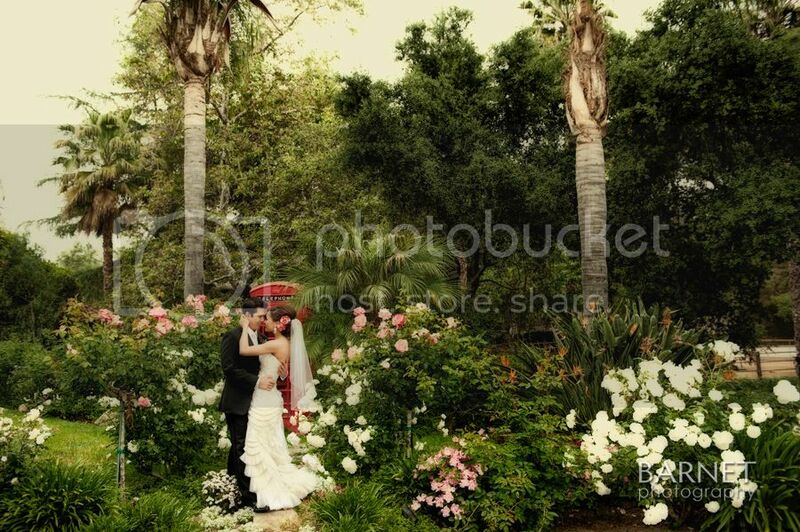 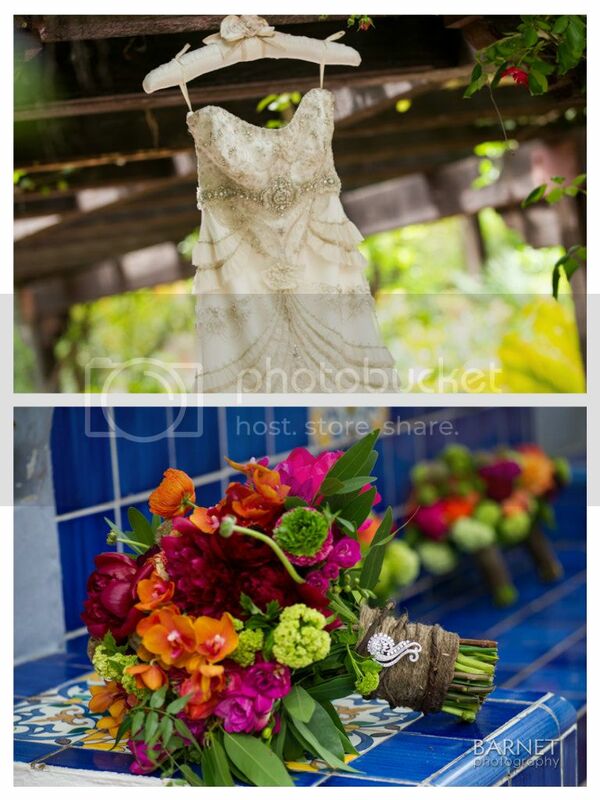 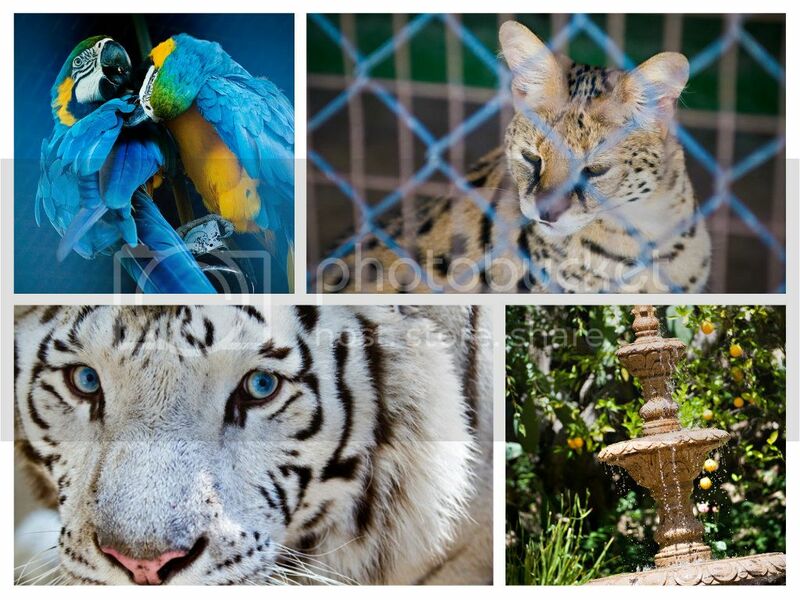 We had a 50% chance of rain forecasted for Sundie and Jason's "Garden of Eden" themed wedding. 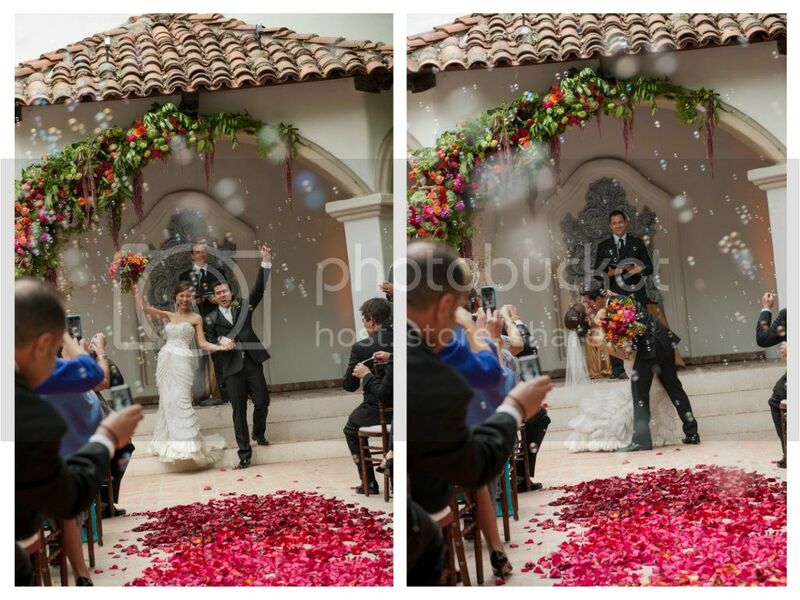 But our Bride and Groom had dreamed of an outdoor reception so we all crossed our fingers and held our breath as the rain held out with nothing more than a sprinkle! 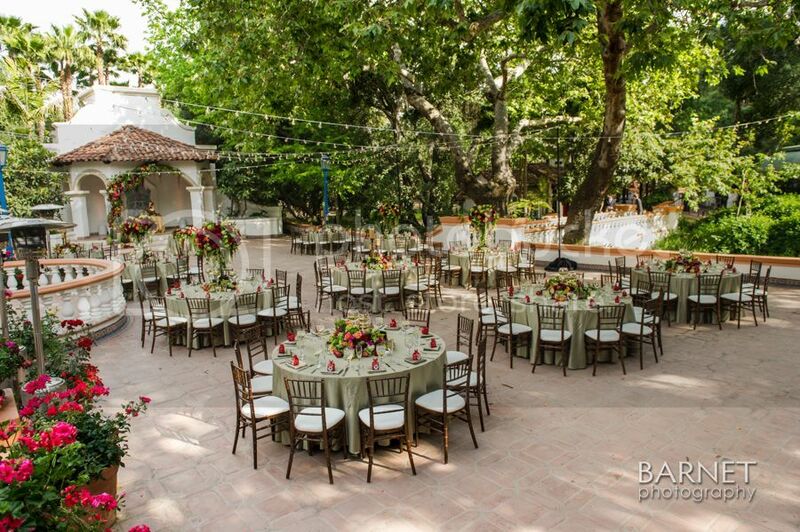 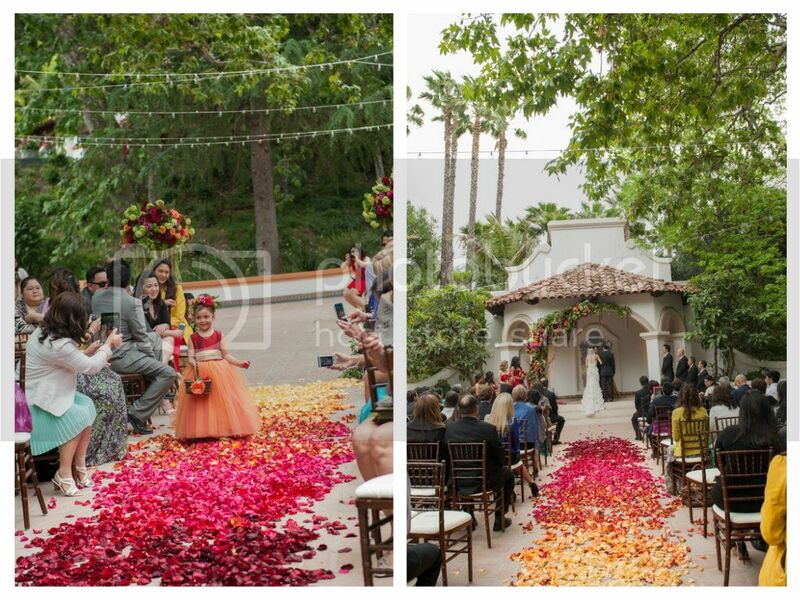 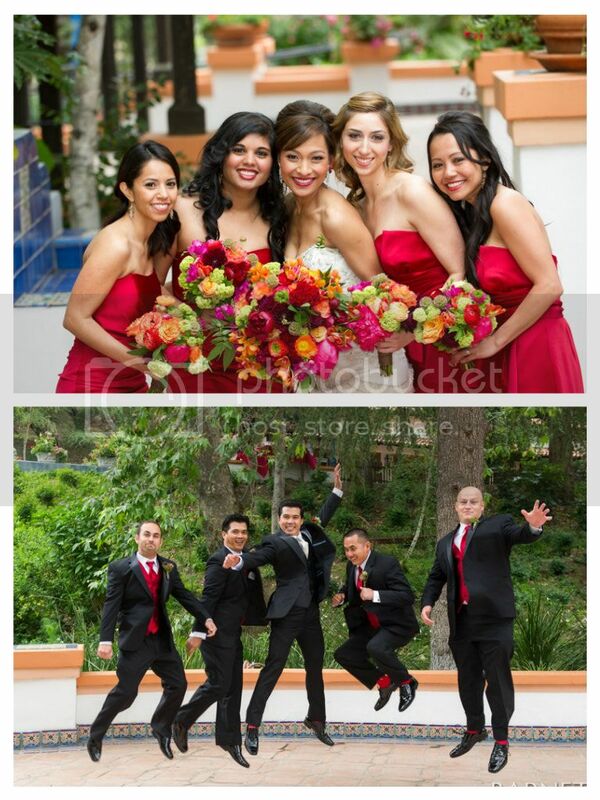 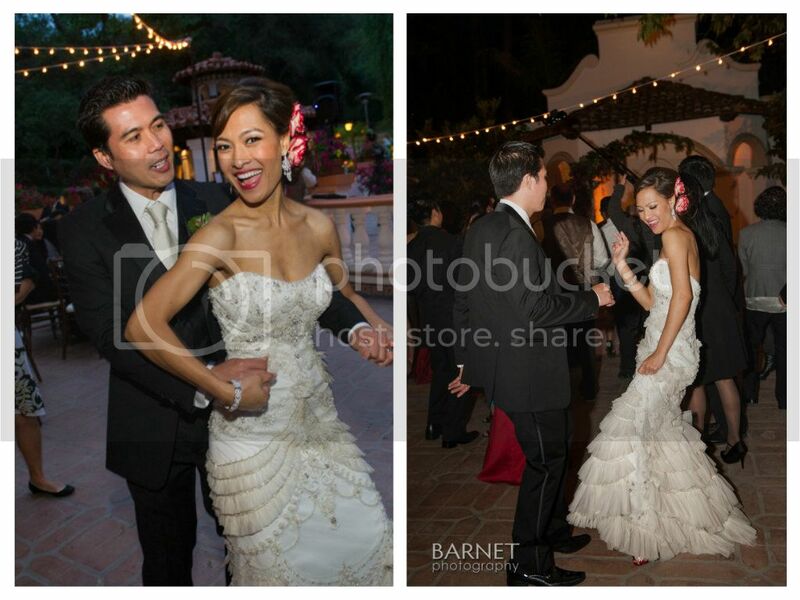 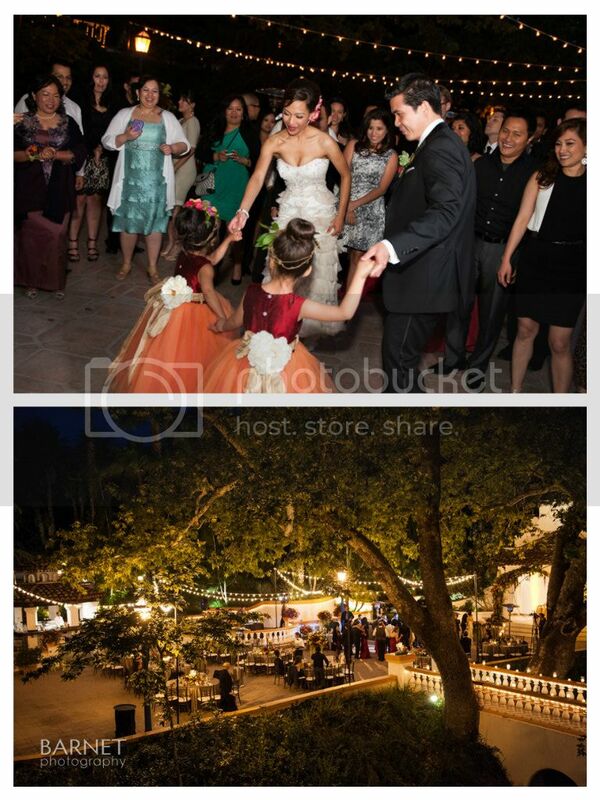 Rancho Las Lomas could not have been a more perfect fit for this lush and colorful wedding celebration. 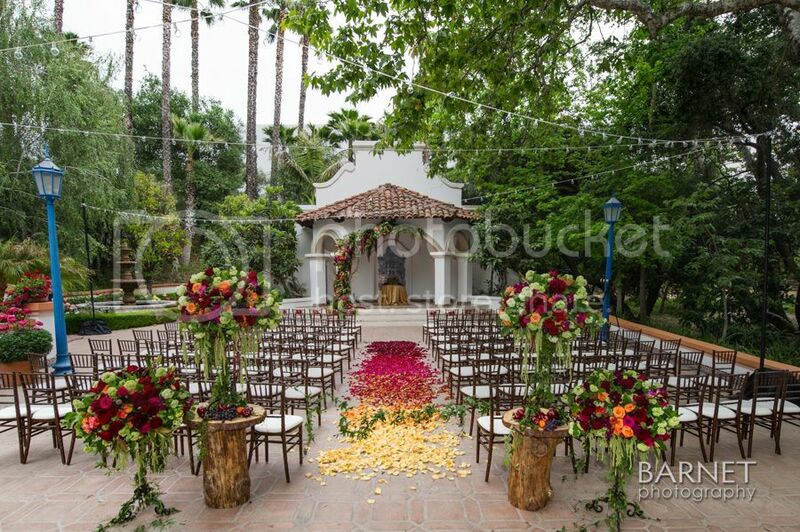 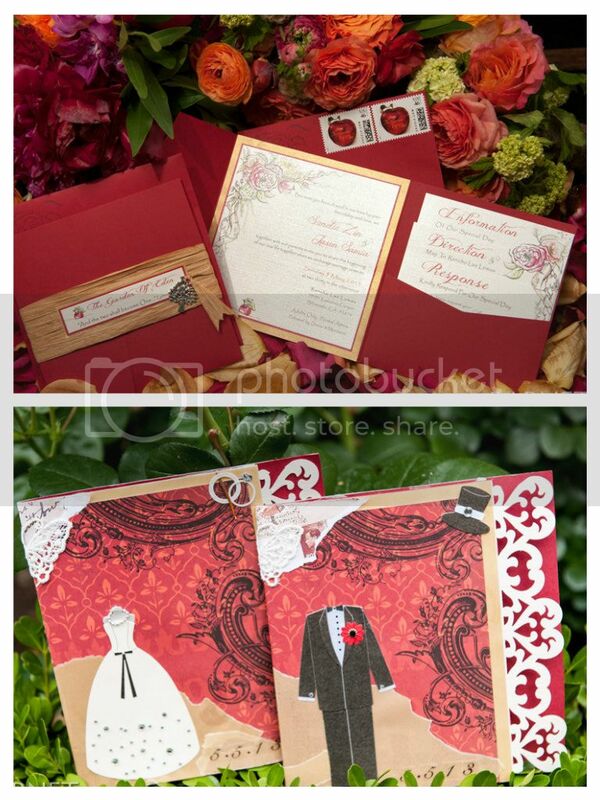 Sundie chose deep reds, bright oranges, and lush greens to fill the ceremony and reception space. 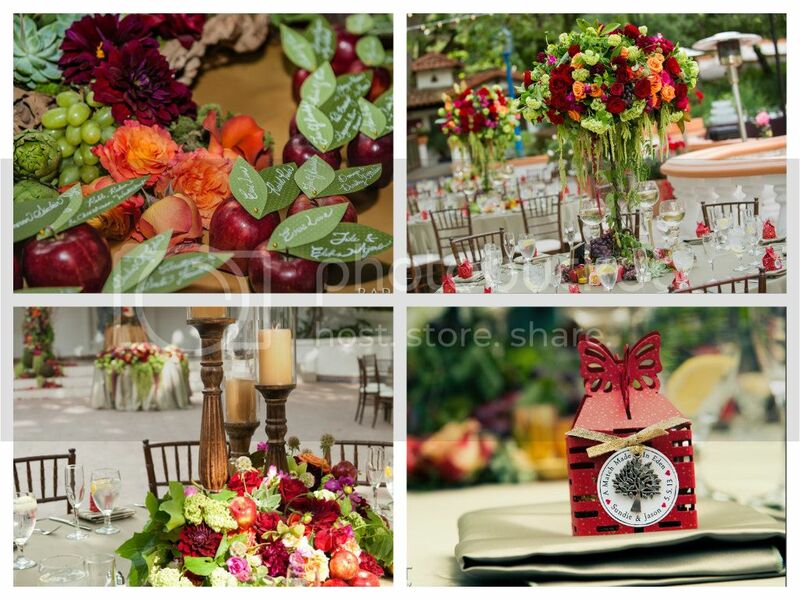 Larrissa of Inviting Occasion got creative with her design and really brought the "Garden of Eden" theme to life. 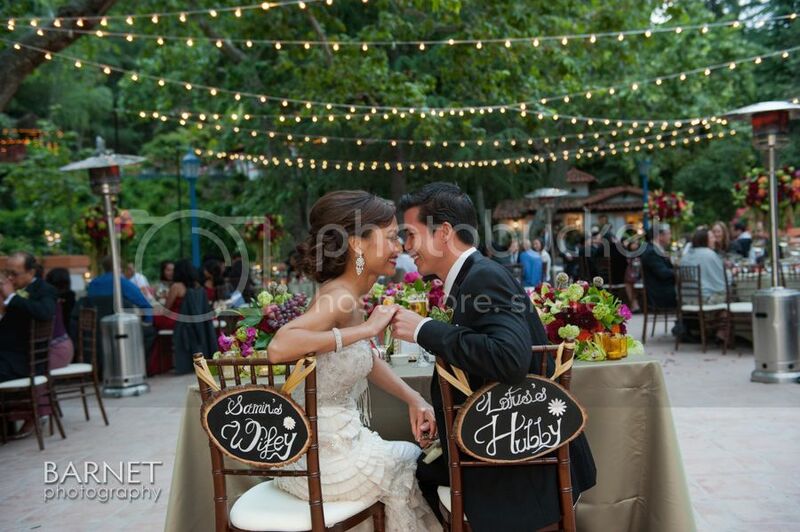 Elevated Pulse provided bistro lighting and amber up lighting for a romantic atmosphere and everyone danced the night away. 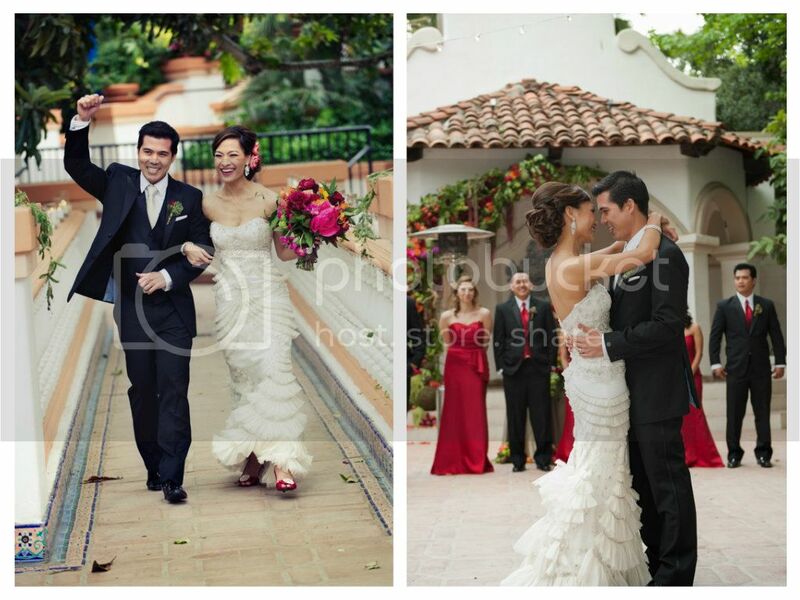 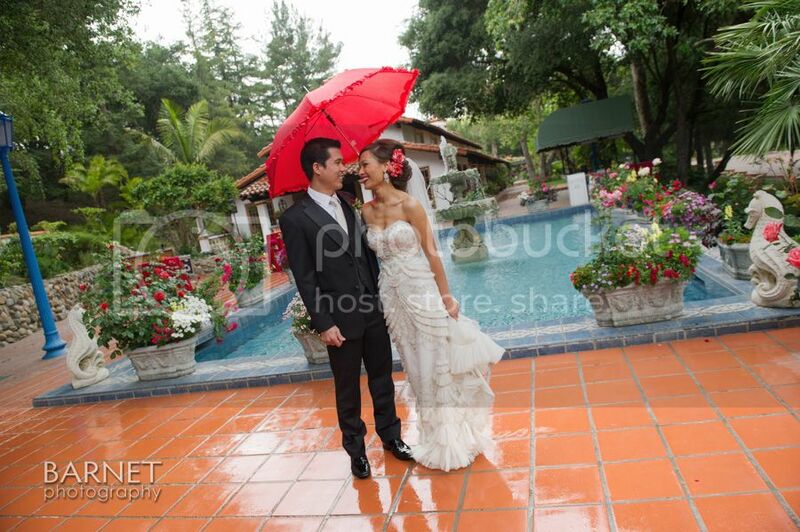 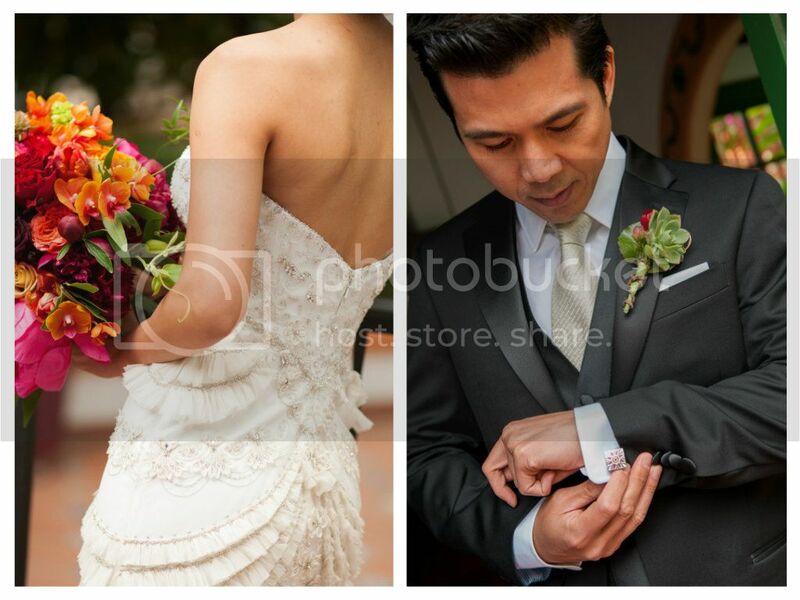 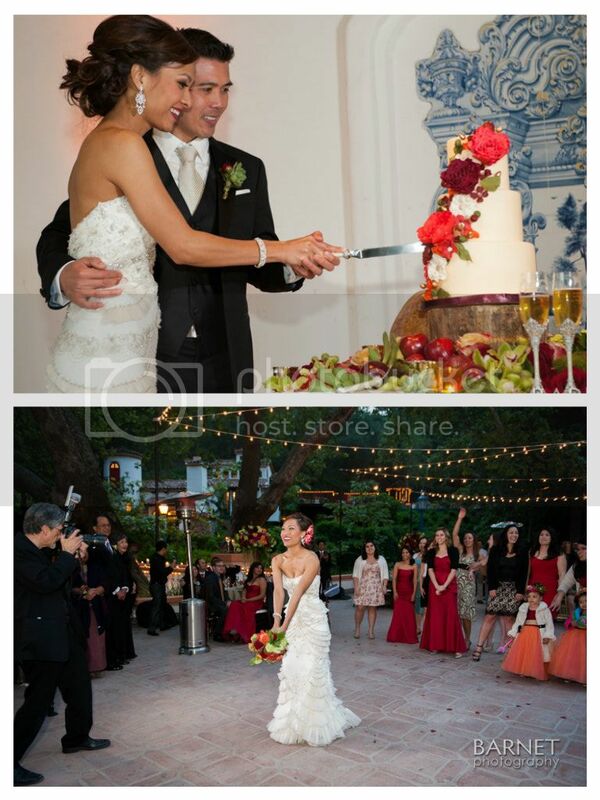 Thanks to Evelynn for her planning and coordination efforts and to Barnet Photography for capturing this amazing day.